The innovative Heartbeat Opera Company has been thrilling audiences with their new takes on the classic repertoire. 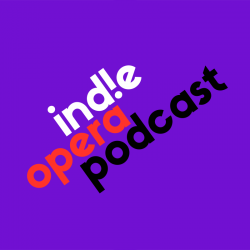 We interview Louisa Proske in this extended Opera Fix. They create new instrumental arrangements for each opera production, not mere orchestral reductions. They re-invent the sound of the score in a very tight dialogue with the director’s concept. The goal for Heartbeat with these reductions is not be a lesser version of The Met, San Francisco Opera, etc. They also bring the musicians out of the pit. They become part of the visual storytelling. A joint class between the schools of Drama and Music. 8 weeks every year spent with Yale opera singers. What is their process for choosing and developing their season? go away on a 5 day retreat in May or June. which will benefit best from their process. Then comes the slow cooking process from September through May. They aren’t a company rich in funding, instead they are rich in development time and collaborators. When do they set the work? Depending on how long the idea gestation it may continue after the start of rehearsals. The big ideas usually are there, but some things can shift. These operas are complex, so many layers to address. The Don can be seen both as a great liberator and a great destroyer. Is this production going to address the #MeToo movement? they have been too frequently skewed in conventional interpretations. audience a different way in. well as the mass incarceration of people of color in America. the big choral sections, which were then audio and video recorded. Major press has covered this including: CNN, NYTimes and Associated Press. Louisa grew up in Germany, where her family was divided between the East and West. Fidelio had so much resonance after the wall came down. In the East, audience members would stand up during the prison chorale in identification of their coming into the light from the darkness. Has socio-political engagement always been a goal of Heartbeat’s mission? Or did it creep its way in as they worked on specific operas? The 2016 election came right after their joyful, inclusive Drag Extravaganza. The seasons operas had been chosen, Madame Butterfly and Carmen, however, Louisa threw out her whole concept for Carmen and started over. In discussion with her designers they landed on the theme of “border”. The border between cultures, men and women, life and death. What does it mean to “build a wall” between us and them? They had cast a Texan tenor and a Mexican Mezzo, so that fed further into the differences on view for the production. Beethoven and Mozart were both so tied into the political movements of their times, the French Revolution and The Enlightenment. politically. How can we take that on board for our current period in time. Opera should not be an elitist art form for the One Percenters only, it should be for everybody and part of grounding us all as humans. What was the impetus for Heartbeat’s Drag Extravaganza? Ethan was a drag queen and organizer at Yale. Purcell’s The Fair Queen with real fairies and queens. It was about how through drag you can explode performances, by going for your most fabulous outrageous self. Farinelli and the King on Broadway used some elements of stagecraft magic as they would have in Baroque theaters. This stagecraft was developed to support the dramatic action of the operas, but also as a way to keep their audiences engaged.